The knowledge and skills to achieve financial freedom and financial independence are gaining importance each and every day. 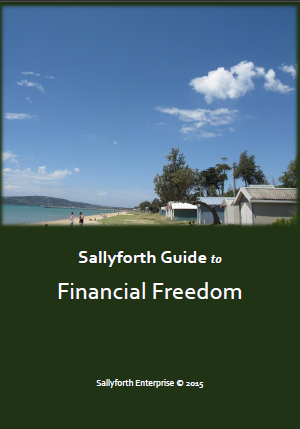 In this useful guide, Sallyforth Enterprises teaches the copyrighted 5 Step system of achieving of Financial Freedom - a framework that is valuable and simple for anyone who wishes to attain financial freedom and financial independence. This guide is priced affordably to reach a wide audience, for everyone's learning and benefit. Grab yours today! Sallyforth Enterprise is a social enterprise that donates 10% of all sales to charity, to support less privileged communities, especially women and children. Even as this book helps raise financial literacy and helps in personal financial management, its sales will also help the poor in less developed communities worldwide. Thank you very much for your kind and generous support!